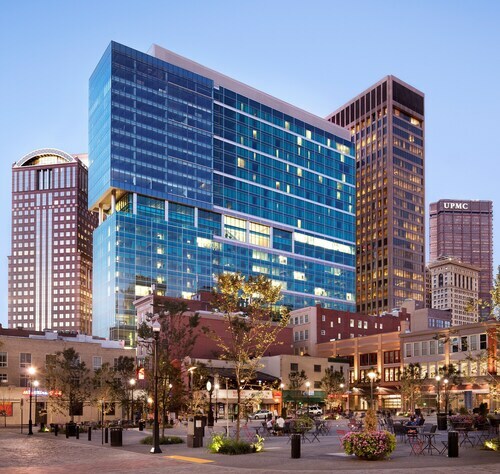 Located in Downtown Pittsburgh, this luxury hotel is within a 10-minute walk of U.S. Steel Tower and Market Square. PPG Paints Arena and PNC Park are also within 1 mi (2 km). Steel Plaza Station and Wood Street Station are within a 5-minute walk. 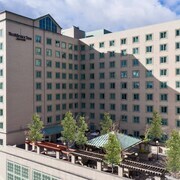 Situated in Pittsburgh, this hotel is 0.9 mi (1.4 km) from The Mall at Robinson and 2.9 mi (4.7 km) from Moon Golf Club. Moon Park and Pittsburgh Botanic Garden are also within 6 mi (10 km). 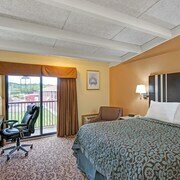 Located in Oakland, this aparthotel is within a 15-minute walk of University of Pittsburgh and Cathedral of Learning. Carnegie Mellon University and Petersen Events Center are also within 1 mi (2 km). 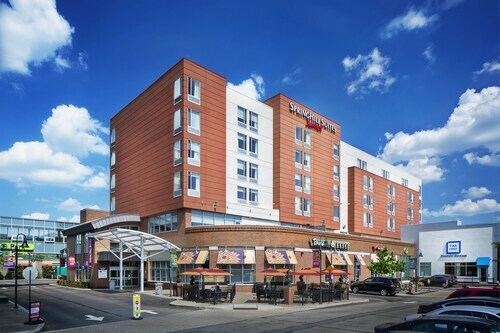 Situated near the airport, this hotel is 0.9 mi (1.5 km) from Joe Walton Football Stadium and 1.3 mi (2 km) from Robert Morris University. Moon Golf Club and Moon Park are also within 6 mi (10 km). Located in Downtown Pittsburgh, this luxury hotel is within a 5-minute walk of Market Square, Heinz Hall, and Benedum Center. PPG Paints Arena and PNC Park are also within 15 minutes. Wood Street Station and Gateway Station are within a 5-minute walk. 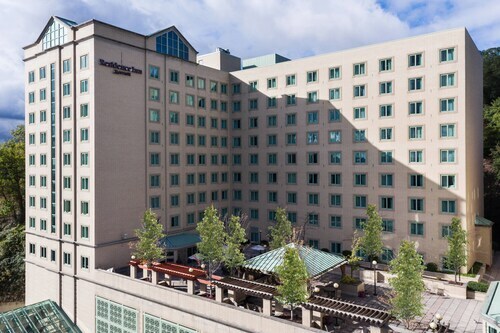 Situated in Pittsburgh, this resort is 0.1 mi (0.1 km) from Bakery Square and within 3 mi (5 km) of Carnegie Mellon University and University of Pittsburgh. Cathedral of Learning and Phipps Conservatory are also within 3 mi (5 km). Situated near the airport, this hotel is within 1 mi (2 km) of Tanger Outlet Center and Meadows Racetrack and Casino. Canonsburg Town Park and Washington Winery are also within 6 mi (10 km). Situated in the business district, this hotel is 2.3 mi (3.6 km) from Perry Como Statue and 2.9 mi (4.6 km) from Canonsburg Town Park. Southpointe Courthouse and Meadows Racetrack and Casino are also within 9 mi (15 km). Located in Downtown Pittsburgh, this hotel is within a 5-minute walk of Civic Arena and PPG Paints Arena. Duquesne University and David L Lawrence Convention Center are also within 15 minutes. Steel Plaza Station is 9 minutes by foot and Wood Street Station is 13 minutes. 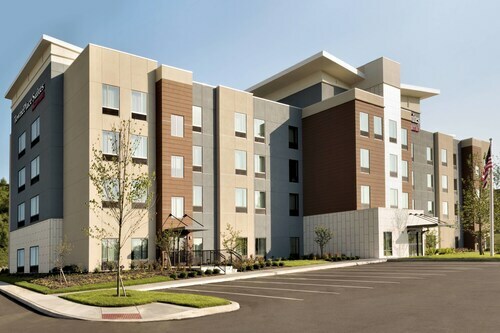 Situated in the suburbs, this hotel is 4.2 mi (6.8 km) from Cranberry Township Community Waterpark and within 12 mi (20 km) of UPMC Passavant Hospital and La Roche College. Ross Park Mall and National Aviary are also within 20 mi (32 km). Situated in the business district, this hotel is within 1 mi (2 km) of Meadows Racetrack and Casino and Tanger Outlet Center. Pennsylvania Trolley Museum and Canonsburg Town Park are also within 6 mi (10 km). Are you looking for a break from the hustle and bustle of your day-to-day life? Do you want to escape reality and forget about your never ending to-do list? Then why not treat yourself to a relaxing stay at one of the spa hotels in Pittsburgh? Whether it is for a weekend getaway or a staycation, book your visit to one of the Pittsburgh luxury spa hotels. 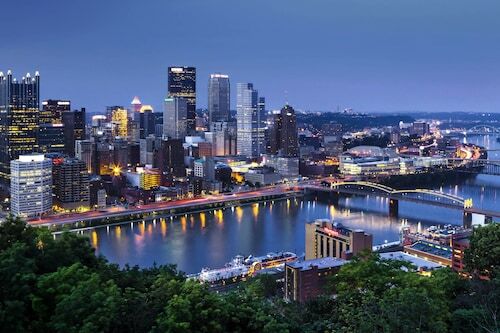 With all of the amazing things to do around Pittsburgh, you will likely be worn out from sightseeing. The Pittsburgh spa hotels provide top of the line facilities with hot-tubs, saunas and private treatment rooms. Treat yourself to an indulgent hot stone massage or facial to rejuvenate from a busy day. 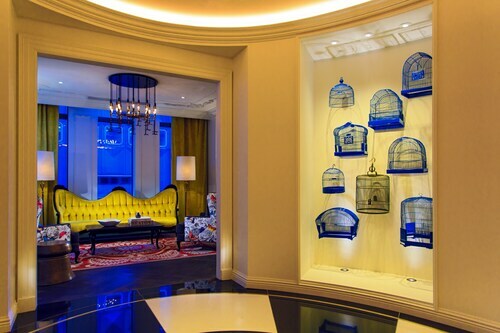 If that's not enough for you, indulge in a full day-at-the-spa package. And maybe you are just looking to reach maximum relaxation before a fancy night out on the town. Take advantage of the salon features offered at most Pittsburgh spa hotels and get a mani-pedi before your evening begins. Travelocity wants to help you relax and rejuvenate during your next stay in Pittsburgh, but we know that spa treatments can put some strain on your wallet. Bundle your hotel and flight together and save enough to pay for your facial! The manager was congenial and very helpful, as was the registration staff. We were upgraded to another room when we arrived because someone had smoked in the room we were supposed to stay in. We were also able to extend our checkout time from 11 am to noon on Sunday. The hotel offers breakfast and also dinner in the restaurant/bar area. The staff was very helpful. I did not like the lighting over the sink, it was too dark. The bath tub did not have safety bars to grid , which is helpful getting in and out of the tub. Also there was no computer for you to look places in the area to visit, or get directions. Ability to walk next door to the Arena was the reason we chose this hotel. Staff very great, lovely room. Didn’t try the pool. Right downtown close to everything! Comfortable and very pleasant.